We carry out valuation for large under-construction project, residual valuation of land, income/direct sale comparison valuation of diverse asset class such as residential, office building, hotel, mall, SPV/portfolio/entity valuation through sum of the parts analysis (SOTP). We also undertake retail valuation of independent house, apartment unit, commercial office or retail shop for banks and home loan providers. Qualified experts with over 20 years of experience, proven track record and accomplishments form the technical team of valuation. The team consists of MRICS, Chartered Accountant, MBA, Architects and Planners. The technical team strength is augmented with a fleet of over 60 surveyors spread across major cities in India. While data is Liases Foras’ biggest strength,it is the scientific framework, the research and the contribution in the area of price and valuation that separates us from others. Liases Foras’ team of dedicated chartered surveyor (civil engineers) provides retail valuation to the leading home loan lenders in locations of Mumbai, MMR region, Pune and Bengaluru. Job allocation and monitoring the real-time surveyors works and movements. Surveyors use mobile application to fill up the survey reports customized as per respective lenders. Technical Manager at office, update and validates the reports carried out by the surveyors at real time basis. Liases Foras big data provides nearby comparable from, primary, secondary and registration sources. Our ressex plugin also aid the micro market dynamics providing the quarterly and annual trends of prices, sales and inventory along with distribution of the prices. Crystal enables us to maintain every single valuation in the form of structured data that can be made accessible to the lender to analyse their portfolios. LF offers data driven valuation, price indexation and risk assessment of existing home loan mortgage portfolios of banks HFCs. b.And the expected values at the time of origination of mortgage. Mapping the quarterly trends of prices and its index at the catchment, pin-codes and micro market level for every property within the portfolio. Providing risk rating of probable price correction risk for every individual property. Using Machine Learning tools, the first step include geo coding the property address at Building / Road / Sub Locality / Locality level. 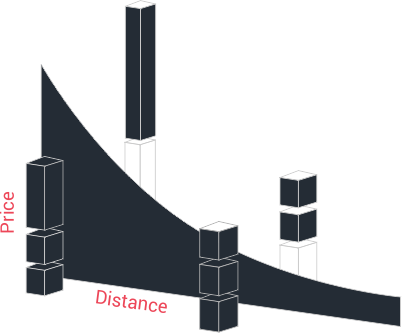 Geocoding at building level is considered to be most precise and high in confidence. Using Liases Foras’ primary, secondary and registration data sets, the most appropriate comparable is identified using various level of validation and rules. The engine runs across the datasets and identifies nearest and similar comparable for the property. 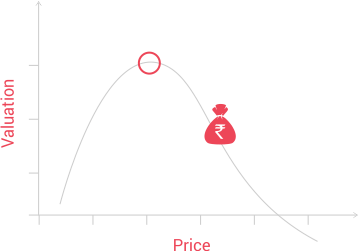 Not the just the base price computation, Liases Foras uses its tested, proprietary hedonic automated valuation models (AVM) to derived the price of land, plots, villas, independent houses and apartments for their differentiating attributes such as parking, floor rise, loading, builder premium, quality of building and age etc. A big data on property valuation consist of primary, secondary, registration and valuation data. Independent, Liases Foras is a non-broking focused real estate research company. Qualified experts with over 20 years of experience, proven track record and accomplishments form the technical team of valuation. The team consists of MRICS, Chartered Accountant, MBA, Architects and Planners. The technical team strength is augmented with a fleet of over 60 surveyors spread across major cities in India. While data is Liases Foras’ biggest strength,it is the scientific framework, the research and the contribution in the area of price and valuation that separates us from others. Our work in decoding the science of property pricing is aimed at bringing transparency in the area of property prices and valuation. Every city maintains a speciﬁc price setting at any point of time. 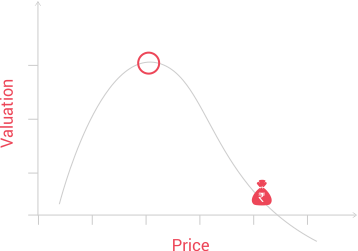 Any change in price of a particular property alters this setting. The price of a property is governed by four fundamental factors: distance, density, surroundings and product. 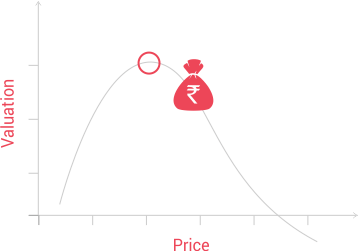 The Urban Price Setting model is a simulation model that provides accurate market valuation of any property (old, new, good or bad) in any city in India. 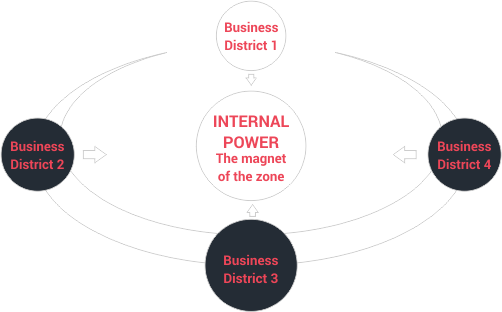 The magnet theory describes that spatial mobility (polorisation) to a speciﬁc region depends on the internal magnet (attractiveness), of the region and how economic hubs have their inﬂuence to the region. These internal magnets have been derived as a product of builtup area densities integrated with income index of demographics (also referred as economic densities). This provides a powerful relative index representing attractiveness of the locations. A location with higher index represents higher attractiveness. The study ﬁnds that real estate prices are highly correlated with the economic densities of demographics. The measurement of the prospective economic densities caused by the improvement in the connectivity and changes in the intensities of economic hubs, carried out on a timescale provides projected prices and their growth patterns. While property can be sold at any price, the time it will take to sell has a significant bearing on its valuation. By introducing sales velocity as the missing dimension in real estate valuation, especially in the DCF (discounted cash ﬂow) method, risks of over valuation due to irrational increase in prices can be mitigated.